In the Roman Republic, condemned criminals and slaves would be forced to fight one another in vicious duels that resulted in bloodshed or even death. The “gladiators”, as these fighters were called, were led to believe they were fighting to achieve a noble position in their society but were actually dueling for the sadistic entertainment of the aristocracy and the high nobility. In many ways, the joust of gladiators is similar to the skirmish that is about to happen in the National Party. On the 27th of February, their caucus formally convenes to decide their new party leader and deputy leader, which was brought on by the departure of the Rt. Hon. Bill English. 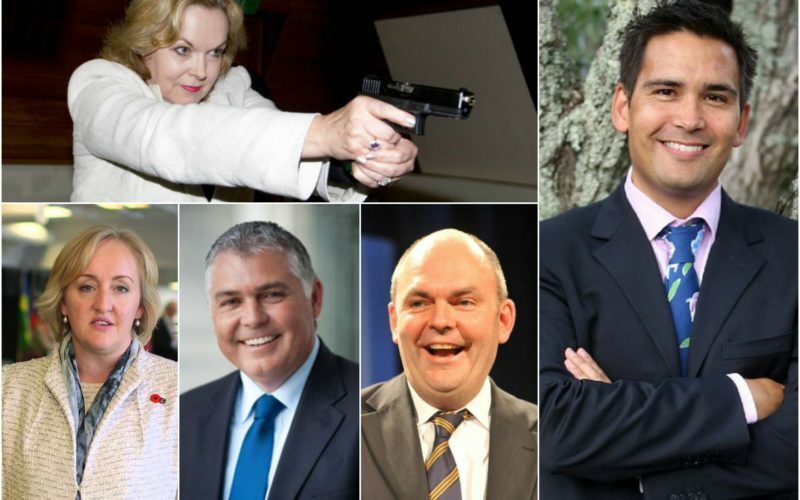 The candidates vying to be the leading figure of Parliament’s largest single political party are also among the most prominent and most ambitious names in that Party’s caucus: Judith Collins, Simon Bridges, Mark Mitchell, Amy Adams and Steven Joyce. All five were at one point touted to be future figureheads of the National Party, and today New Zealand finds out if it is in their respective destinies to be leader. The outcome will undoubtedly be bloody, with the competitors all representing different factions within the broad church that is the National Party. Bridges and Mitchell are associated with the more socially conservative, “rural New Zealand” brand of the Party, while Adams belongs to the more liberal wing – both socially and economically speaking. Steven Joyce and Judith Collins are veteran MPs who have both taken senior ministerial roles in the previous National government, they are the most experienced candidates in this race. With their extensive political history, they are also the most shrewd political operators not just among the candidates but in their caucus in general. Political observers have linked a recent spate of controversy plaguing National Party MPs to the race for the leadership, tying it to a sinister plot of divide and conquer which the contenders have devised. The controversy surrounding Chris Bishop and his communication with a 13-year old girl through the messaging app Snapchat is believed to scupper his attempted bid for the leadership himself, while another senior National MP Barbara Kuriger was embroiled in an animal cruelty controversy. For a very long time, Mark Mitchell was a virtual unknown in the National caucus but throwing his hat in the ring has attracted him media attention – particularly with regards to his past as a defense contractor. Meanwhile Simon Bridges has been receiving renewed backlash from his vote against marriage equality back in 2013, with his Baptist upbringing also being brought into the spotlight. After the National caucus meeting, Bill English’s successor will be known. It will not be revealed where the votes fell during the election, but it is certain that this battle for the leadership will be bloody. Political mudslinging and covert smear campaigns were already aplenty during the lead-up to the vote, expect it to continue even after the new leader has been decided. If Bill English could lead National to a stellar result in the 2017 elections and still get axed, his successor would be an eventual target for the other ambitious MPs in the Party. Much like the ancient gladiator battles, all five belligerents in this race aspire to improve their standing not only in their Party but in the political sphere. The eventual winner will not only be leader of National, but also of the Opposition and therefore will clash head-on with the popularity of Prime Minister Jacinda Ardern. But at what cost will their victory come at? National’s success during the John Key era was attributed to their stability and absence of any infighting among members. This battle of the egos is about to unravel that celebrated stability, and will fully expose the well-hidden factions in the main Opposition Party. While these gladiators clash with each other in the hopes of increasing the respect they have among peers, the real draw of this leadership contest is to see bloodshed — much like in Roman society.